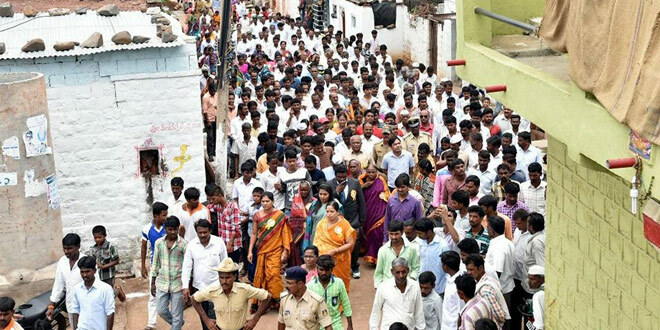 Superstitions and stereotypes did not deter the district administration of Kalaburagi to take on the massive challenge of building 10,000 toilets in 12 days. 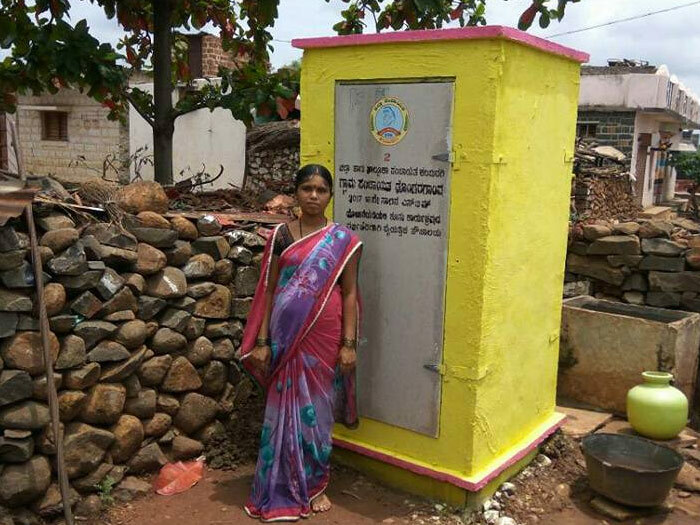 The idea of building 10,000 toilets in merely 12 days might come across as preposterous to many, but for the district administration and residents of Kalaburagi district in Karnataka, it was a challenge they gladly undertook. With a population of more than 18 lakh in its rural areas, Kalaburagi is one of the most populous districts of Karnataka, but dismal sanitation coverage of only 20 per cent is one of the major drawbacks of the district. More than 5 lakh of the rural population are agricultural labourers. 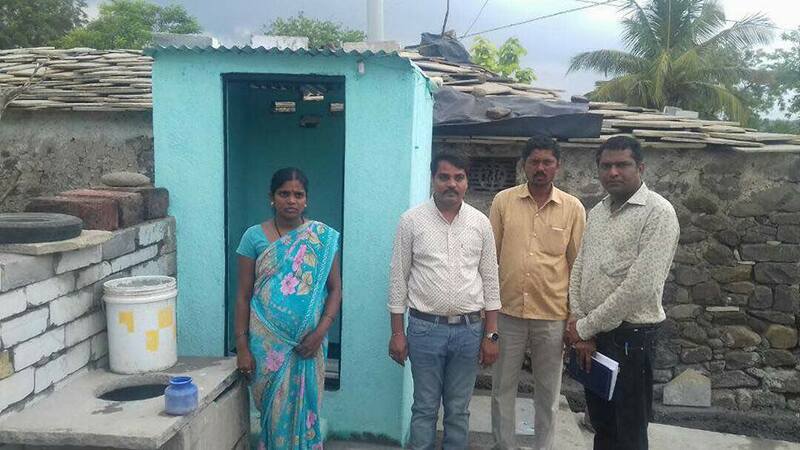 The target of toilet construction was set by the Chief Executive Officer (CEO) of Zilla Panchayat Hepshiba Rani Korlapati, and priority was given to households with pregnant or lactating women. Kalaburagi, which ranked low in the Human Development Report prepared by the district in 2014, is gradually improving its human development index with focus on proper sanitation. The campaign was given the greenlight on the June 5, the occasion of World Environment Day 2017. The district administration wanted to create further awareness among the district’s rural population about sanitation, and along with toilet building, also stressed on afforestation. Fruit bearing trees such as guava, pomegranate, lemon and drumstick have also been planted in each home, to stress on the positive effects of having plants at home. We wanted to link the three important aspects of sanitation, nutrition and afforestation. The villages in the district have a history of malnutrition. By making the villagers aware of the importance of all three, we began the campaign on a positive note, said Hephsiba Rani Korlapati, CEO Zilla Panchayat, Kalaburagi District. For long, the district administration had been trying to improve the sanitation scenario in Kalaburagi. Before the massive toilet building project, the district administration had selected 7 villages as a pilot. It was undertaken to monitor the response of toilet building exercises. The pilot project was a huge success as people readily responded to the exercise of toilet building. This prompted the district administration to take on the project on a large scale and attempt to build around 10,000 toilets. A survey was conducted by the district administration from May 1 to 10, during which 40 households were identified from each of the 264 gram panchayats, which had no access to proper sanitation facilities. In most of these households, women were either pregnant or had just given birth. Lack of proper toilets had made daily life very difficult for them. For pregnant women and new mothers, lack of toilets was a big problem in most of the villages. We identified such households over the course of a month and began our campaign. Given the nature of the project, we also roped in officials from various departments in the district and panchayat, as well as ASHA workers for monitoring the project, said Ms Korlapati. What the district administration next encountered was bizarre, as some villagers with pregnant women in their households did not want to dig the earth around their houses for toilet construction. When asked why, they said that they considered the digging of earth when there is a pregnant woman in the household would bring ill luck. They did not want to disturb mother earth with a pregnant woman in the house. This stumped the district authorities, but they remained firm on their commitment to execute the programme. With repeated visits, they convinced the superstitious villagers that toilets were of high importance for pregnant women, who needed access to proper sanitation to remain healthy pre and post-delivery. It was no less than triumph of the administration when more than 130 households with pregnant women discarded years of superstition to participate in the project. The Swachh Bharat Abhiyan stresses on imparting behavioural changes in people. Our project encountered some stereotypes and superstition, but the nodal officers were successful in convincing people that nothing was more important than having a toilet at home, said Ms Korlapati. Since the Abhiyan also stresses on monitoring, the CEO laid down guidelines to ensure effective monitoring of the whole project. A WhatsApp group was formed where every officer was included. Each officer was asked to upload 3 pictures of every toilet being built – one of the pit, another of the super structure and one of a completed toilet. This ensured that there was no discrepancy in the number of toilets built during the project. Within the first week, around 5,000 toilets were built. Even the district administration was surprised with how the local population in each village participated in the building of toilets, by digging pits, setting up structures for toilets and carrying construction materials. The district administration encouraged people to send images of themselves building the toilets and were sent heartwarming images of couples, family members coming together to work together on toilets. The district completed building of 10,560 toilets by June 19, 2017. The project brought out several aspects of rural sanitation. Most importantly, we realised that with participation from all quarters, executing such a project becomes possible. All that was required was to convince people to let go of their stereotypes and lend a hand in building toilets. The overwhelming support that we received will motivate us further to take on such projects on a larger scale and eradicate the problem of open defecation from the district, said Ms Korlapati. Kalaburagi needs nearly 2 lakh toilets to become open defecation free (ODF). The massive number might seem overwhelming, but the district administration is confident of reaching there. The district administration has set a deadline of October 2, 2018, as the success of the toilet building initiative has given the administration enough confidence to take up such large scale projects. The next programme planned by the district administration is to install toilets for female students across all the schools in the district. Previous Post: Gulaab Gang Is Making Us Proud Again, This Time By Fighting Against Open Defecation In Karnataka. Next Post: This Duo is Upcycling Plastic Waste Into Fashionable Handbags.